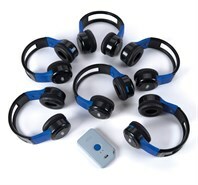 Wirelessly transmit audio from virtually any device straight to numerous headsets. 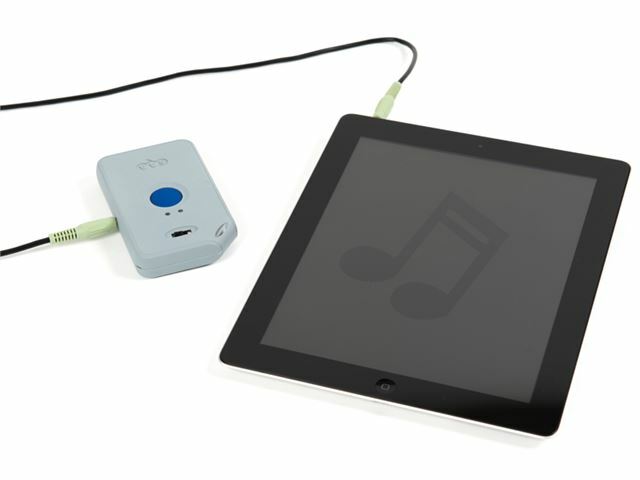 Simply connect a device with a 3.5mm audio port to the transmitter and the audio will automatically stream to the connected headsets. Six rechargeable headsets with 8 hours battery life. Rechargeable Transmitter –with 6 hours battery life. 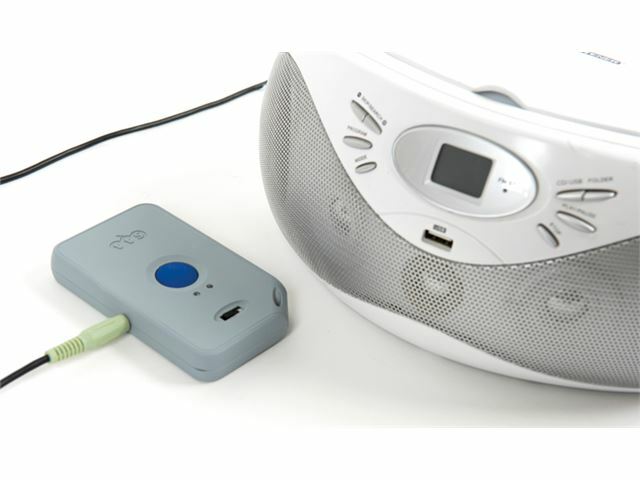 Microphone to talk to all connected headsets. Three channels allow multiple sets to be used in the same space without interfering. 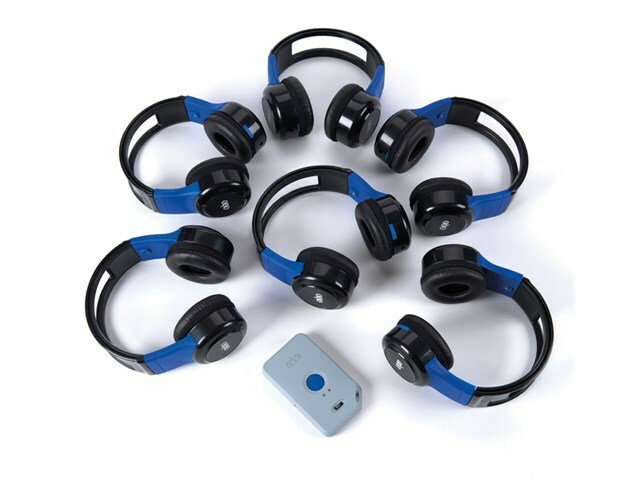 Use up to 18 headsets with one transmitter. 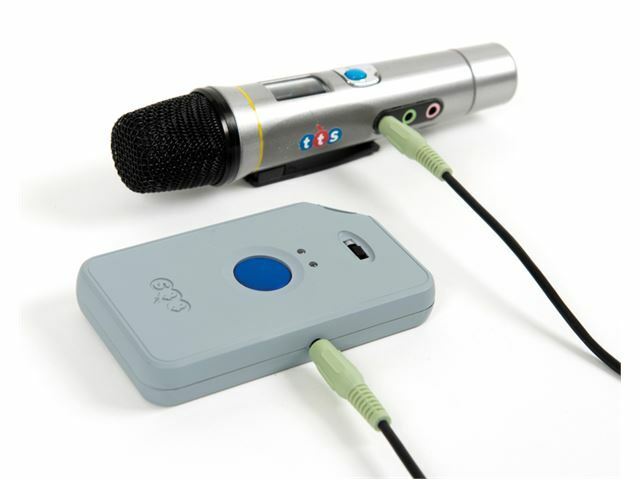 Transmits audio from virtually any device (not included) to numerous headsets.